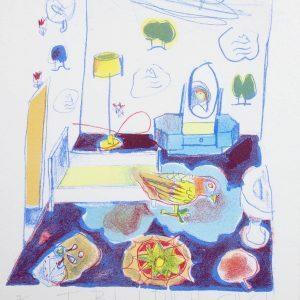 I have recently exhibited at Hayletts Gallery in Maldon,The Watts Gallery Guildford with Richard Bawden and as part of the St Jude’s in the City exhibition at The Bankside Gallery in London. 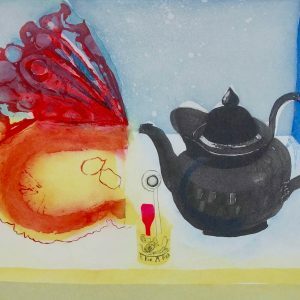 In recent years I have been making etchings and printing them in small editions at The Thames Side Print Studio near The Thames Barrier in London. 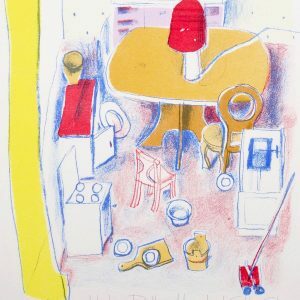 I also make monoprints on my offset litho press at home. I have travelled to Venice with friends on a regular basis making drawings in situ which often lead to prints. 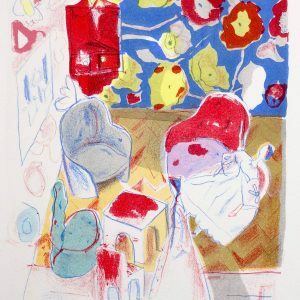 I am probably best known for my still life lithographs which I began making at The Curwen Print Studio in Tottenham Ct Rd London in the late 70s . 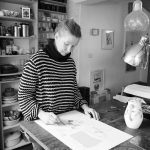 For many years I worked as a freelance illustrator making prints and exhibiting at the same time.My working life has not been dissimilar to that of my mother Sheila Robinson who was part of a group of artists living in the village of Gt Bardfield in the county of Essex. 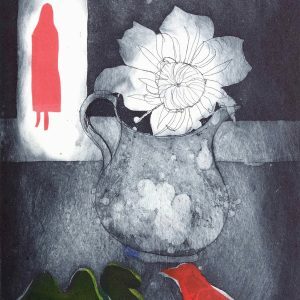 I was born in 1952 attended art school in Cambridge and then the Royal College of Art 73-76. 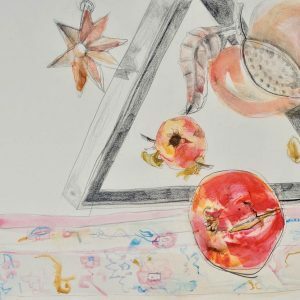 I have some work in public collections including The Arts Council and Tate Britain .